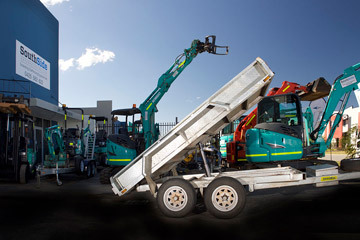 SSE Plant Hire’ core business is to provide digger/excavator hire (that also consist of a range of bobcat dry hire) and earthmoving machine hire services in Western Australia. We have a wide range of earthmoving equipment available for rental across Perth. From as small as a 1-tonne excavator up to 13.5-tonne excavator, we service the areas of Fremantle, Rockingham, Joondalup and Mandurah. We also have loaders, compactors, rock breakers for hire. 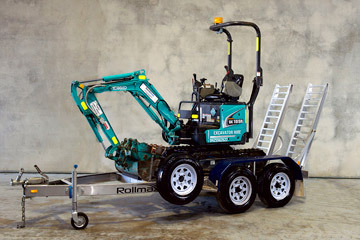 These are just some of the machine hire and attachment hire available. WE WILL GO THE EXTRA MILE TO MEET YOUR HIRE DEMANDS! While this sounds simple this takes hard work, belief and commitment from everyone in the team including the “customers”. We value our customers and strive to only provide the best possible machine hire service. Get in touch with your choice of bobcat dry hire, digger or excavator machine hire in the locations of Perth, Fremantle, Rockingham, Joondalup and Mandurah. We want every machine hire to be on time, on spec and working straight away – maximum productivity with no hidden hire costs. We provide you with a hire of a clean, in working order, safe, reliable, full tank of fuel machine (that includes your option of excavator or digger). All we expect is to bring the hire machine back in the same condition to avoid any off-hire charges. Our team strive to provide you with simple solutions for your project machine hire needs. We are big enough to supply (your choice of bobcat dry hire, digger or excavator hire) but small enough to be flexible and we will work with you to fulfil your hire contract requirements. One way we do this is through forming partnerships with hire industry associations to further develop our specialist team. 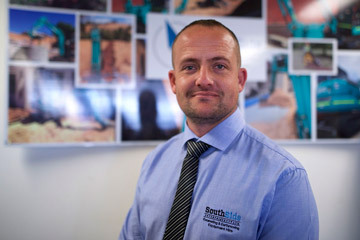 Led by JJ Stephens, Managing Director of SSE Plant Hire Pty Ltd vision is to ensure a safe and efficient hire market. 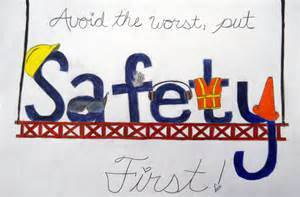 Our key priority is a quality hire service. Providing excavator hire, skid steer hire, vaccum excavation hire and more across Perth, Fremantle, Mandurah and beyond. We are located in North Lake Road, Cockburn Central. We hire out digger and earthmoving equipment for wet hire (with an operator) on an hourly basis or even a bobcat dry hire (without an operator) on a daily, weekly or long-term basis. We commit to having every excavator rental we provide on time, on spec and working straight away — offering you maximum productivity with no hidden costs. ﻿Furthermore, our rental service has transcended to the most remote country areas. Our most popular country areas where we provide our machine hire is the regions of Bunbury, Busselton, Capel, Albany, Port Hedland, Karratha, Bremer Bay and Denmark. We supply excavator services to most suburbia areas in and around Perth, that include Fremantle, Rockingham, Joondalup and Mandurah. Other notable areas we service include Armadale, Kelmscott, Belmont, Canning, Claremont, Canning Vale, Cottesloe, Cockburn, Gosnells, Kalamunda, Kwinana, Melville, Mundaring, North Perth, Nedlands, Peppermint Grove, Subiaco, Stirling, Swan, South Perth, Victoria Park, Vincent, and Wanneroo.